Personal attention for your children in our family hotel! On the outdoor terrace at the Hotel Cà Bianca in Riccione, within a covered porch located in a safe and spacious area, your children will be welcomed to have fun together with our kids’ entertainers! The miniclub is open to all children between the ages of 3 and 13. And during the day the fun will continue on the beach with the kids' miniclub in area 110! 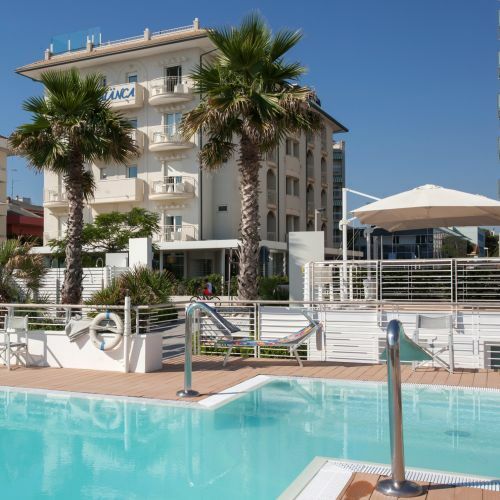 Book your holiday at our hotel in Riccione now!